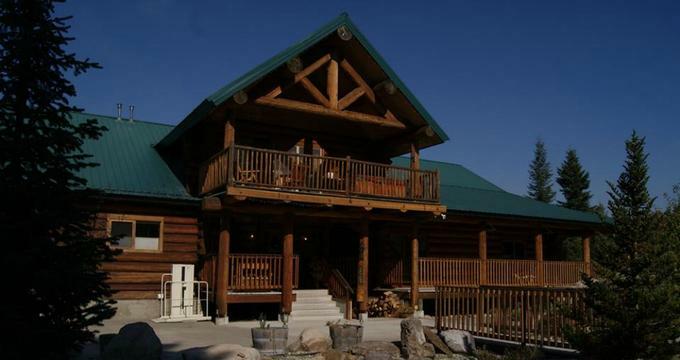 Set on 30 acres of untamed wilderness in the wooded serenity of North Idaho, Log Spirit Bed and Breakfast is an award-winning lodge that offers an authentic mountain retreat. Surrounded by majestic mountains and verdant woodlands, the family-friendly lodge boasts cozy log cabin-style accommodations with spacious living areas, gourmet kitchens, private bathrooms, and modern amenities. The heart of the lodge features an enormous floor-to-ceiling fireplace, an elegant dining room and a full, covered wrap around deck with beautiful views. The lodge is ideal for a relaxing getaway and also offers an array of activities to enjoy from hiking, fishing, kayaking and lake cruises to playing golf on one of several championship golf courses, horseback riding, mountain biking and more. Log Spirit Bed and Breakfast features six well-appointed guest rooms with cozy, log-cabin style wooden walls and floors, rustic, yet chic décor and furnishings, private en-suite bathrooms and electric stoves to stave off the chill off on cold nights. Four of the rooms are named after the seasons, namely Spring, Summer, Autumn and Winter and are located on the main floor of the lodge. Each room is individually decorated to offer its charm and character, and each features a queen-size bed with deluxe linens and down comforters, spacious private bathrooms with double showers and fresh towels and access to the eight-foot-wide covered wraparound deck with outdoor furniture. Each of the rooms has large windows that offer beautiful views of the surrounding woodlands and mountains. The Midnight Dream Room is located on the balcony level of the lodge and is the largest of the guest rooms. This elegant room offers a custom-made king-size log bed dressed with luxury linens and plush down comforters, a spacious en-suite bathroom with a double shower and thick towels, and an ample living area with sofa, armchairs, mini-fridge and an electric stove. The Midnight Dream Room opens on to a large private balcony with an outdoor hot tub and gorgeous views of the gardens, waterfall, and pond. The Sunrise Room is an airy abode on the main floor of the lodge and features a double bed and a queen-size bed with luxury linens and down comforters, and a spacious en-suite bathroom with a clawfoot tub/shower combination, single vanity, and fresh towels. A large living area with a sofa, mini-fridge, and modern entertainment center. The Sunrise Room opens onto a large portion of the main deck, which is gated off for privacy and features a hot tub and outdoor furniture. A complimentary multi-course breakfast is served every morning in the main lodge’s dining room and includes cereals, granola, yogurt, fresh fruit, eggs, bacon, sausages, tomatoes, fresh bread, preserves and more, along with fresh fruit, juices, and locally brewed coffee and tea. Log Spirit Bed and Breakfast has a communal ‘great room’ where guests can gather and relax in front of the beautiful stone fireplace with a book or a cup of tea. A complimentary multi-course breakfast is served every morning in the adjacent dining room, and an eight-foot-wide, covered wraparound deck has comfy furniture and breathtaking views. A quiet library on the first floor of the lodge provides a cozy nook in which to read, listen to music, watch a movie, or play a game, and the beautiful gardens with a waterfall and pond beg to be explored. The local area offers an array of outdoor activities throughout the year from fly fishing, kayaking, and canoeing to lake cruises and playing golf on one of the many championship golf courses in the area, including the world-renowned Coeur D’Alene Resort in the spring and the summer. Other activities from horseback riding, hiking, and mountain biking in the warmer months, while winter brings a broad spectrum of snow sports, including snowboarding, downhill, and cross-country skiing snowmobiling, and snowshoeing, as well as hunting and ATV trekking. Less adventurous activities range from exploring art galleries and museums and enjoying theatre, festivals, shopping, and dining within the region. Log Spirit Bed and Breakfast caters for weddings and special celebrations with beautiful indoor and outdoor venues, gourmet catering and customized menus, comfortable accommodations for the wedding party and guests, and special services such as bar services, wait staff, flower arrangements and an event manager to ensure everything runs smoothly.